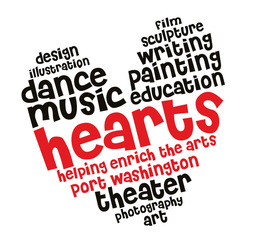 HEARTS is an independent, grassroots not-for-profit 501(c)3 community organization whose mission is to add meaningful value to children's lives and our community by supporting, promoting and enriching the arts in Port Washington and its' public schools. 2015 GRANT APPLICATIONS AVAILABLE NOW! !